The program for this year’s event promises to be an inspiring morning. Minneapolis Mayor Jacob Frey will be the featured speaker. 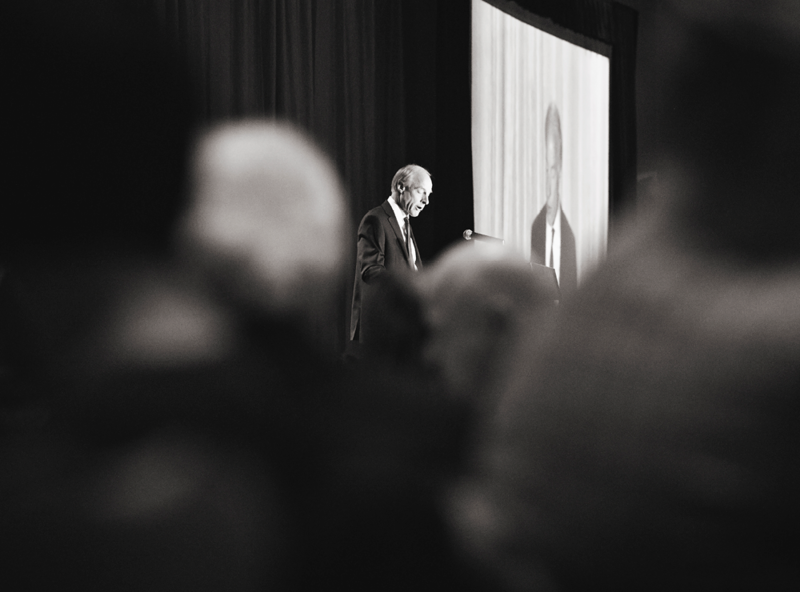 CVT’s executive director, Curt Goering, will be offering his expert perspective on what a year it has been at CVT and around the world. Islam Al-Aqueel, Psychotherapist/Trainer and Project Representative for CVT’s Syrian Survivors of Torture Initiative will be talking about CVT’s presence in the Middle East: working with refugees in Jordan, community work in villages in northern Iraq, and CVT’s work with Syrians inside Syria, among other accomplishments. 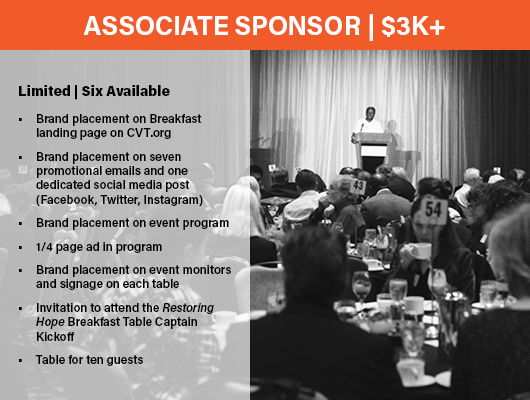 Parking for the 2018 Restoring Hope Breakfast will be validated at The Depot Minneapolis. You will receive your ticket for The Depot hosted parking at registration. Valet parking will be available in the front of the hotel off of Washington and 3rd Avenue for $18/hour. Parking at The Depot is first come first serve. Overflow parking is available in nearby ramps and at metered street spots. Overflow parking will not be validated. 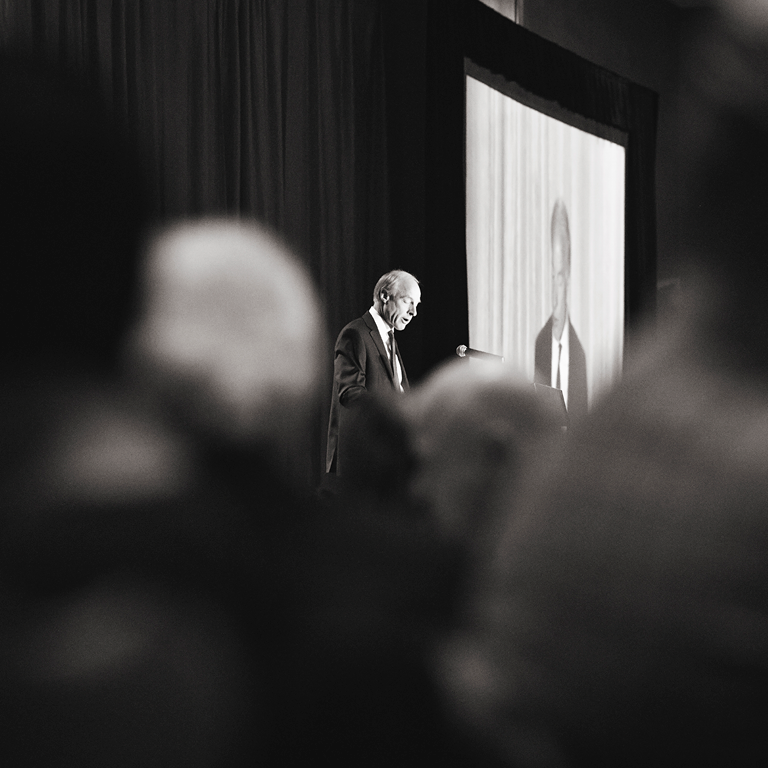 Table Captains are supporters and advocates for the work and mission of CVT. 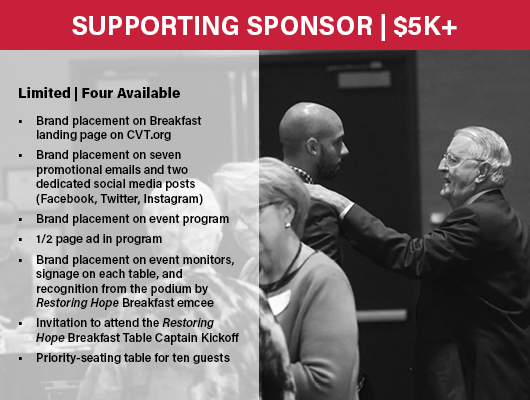 Captains host a table of ten at the Restoring Hope Breakfast and invite others in their community to join them. The Breakfast is free to attend, and so is being a Table Captain! 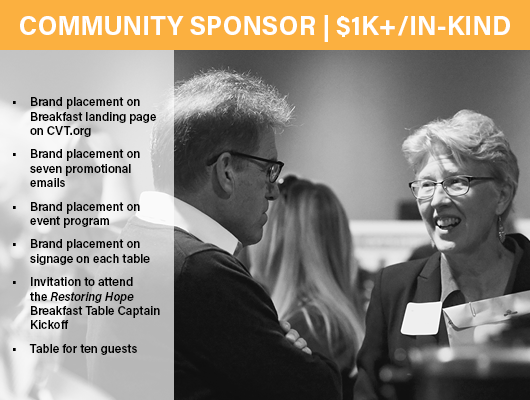 Check out the Table Captain Toolkit and contact Laura Kuhlmann at lkuhlmann@cvt.org or 651.209.3198 to get started on your table today! 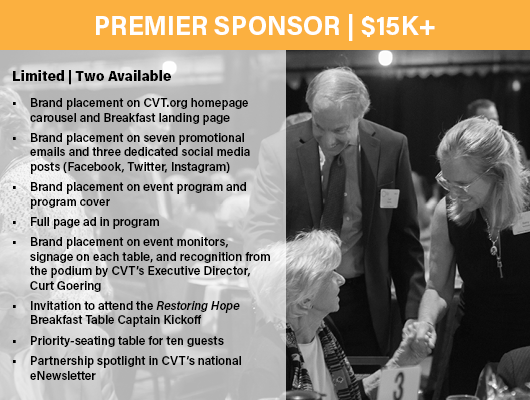 If you would like to become a sponsor for the Restoring Hope Breakfast, please contact Laura Kuhlmann at 651.209.3198 or lkuhlmann@cvt.org. 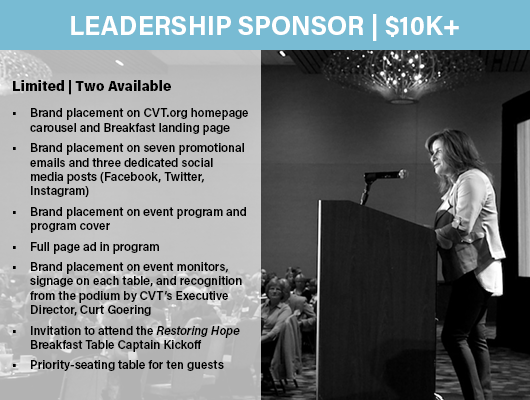 Thanks to the generosity of our sponsors, all donations made at the Restoring Hope Breakfast go directly toward healing and rebuilding the lives of survivors and their families.